This week is my biggest experiment yet. 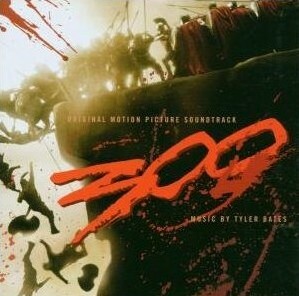 I’m going to review the soundtrack for a movie I’ve never actually watched: the highly controversial score to the 2007 film, 300, composed by Tyler Bates. Worth Your Time? It’s the musical equivalent of waiting in the doctor’s office on a day you accidentally forgot your smartphone at home and you’re stuck reading a tween magazine. In short, no. Twitter Review: 300 is incredibly boring on so many levels. It has dynamics. It has intensity. It has pretty moments. But what it is missing is purpose. Guitars. Seriously. Those are really the only songs I find remotely interesting on the album because it gives the song a weird Sahara Metal feeling. If you get to the halfway point and haven’t heard a guitar, hit the next button. Female Vocalizations. Actually, don’t look for them. They will hunt you down and stab you in the back of the neck. They’re incredibly overused throughout the entire album. The parade is in town! It’s probably the instruments used or the rhythms but several times throughout the album I feel like Genie and Prince Ali should make an appearance. Low Points: It takes more mind power to focus on this album than anything else I’ve ever tried to concentrate on in my life. If you’re not closing your eyes and blocking out the entire world while listening to it, you aren’t actually listening to it. You’re ignoring it. Your ears’ natural self-preservation will kick in for most of this album and muffle it before your brain has a chance to process it. Anything Else: I think reviewing a soundtrack for a movie I have not watched was probably a mistake but I was very curious as to how it would turn out. It’s quite possible my viewpoint could be changed dramatically by watching the film. In the future, I’m going to make sure to watch the movie first if only for my own sanity. I’m NOT going through another week of this. Still have one more thing to talk about though. Notice that I said this album was highly controversial at the beginning. What in the world could be controversial about a film score? Well apparently Mr. Bates lifted some of his tracks from a celebrated extremely experimental soundtrack that includes mixing and blending of 7 different music genres: Elliot Goldenthal’s Titus which was released 7 year earlier. Bates was of course blasted by the film score community for doing this. He received numerous bad reviews even including the rarely seen but dreaded 0 star review. Warner Bros. eventually settled with Elliot Goldenthal and so ends the tragic tale of Tyler Bates. Actually, there are many credits to his name post 300 so I can only assume this didn’t hurt his career much at all. HAPPY MOTHER’S DAY! Including my forever awesome mom who is a gigantic reason why I am the person I am today and can rest assured my childhood is a flood of happy memories that I will never forget. All of her efforts were not in vain. Man, do I miss her cooking. You’ve haven’t had Thanksgiving until you’ve had my mom’s cooking. And to my mother-in-law for being so incredibly helpful, caring and generous to me over the years. Also, thank you for giving birth to the center of my universe.